Uncommon students prove every day that they can succeed at the highest levels. 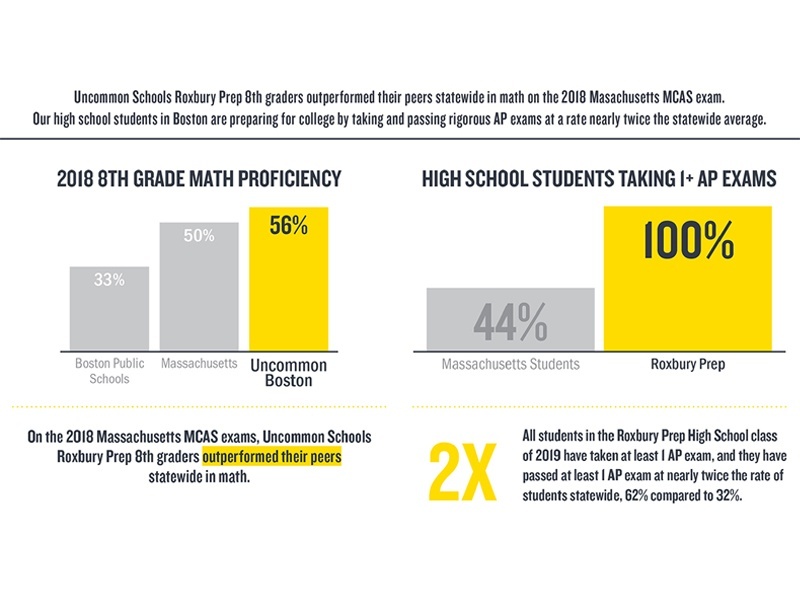 Learn more about why we are the highest-performing large charter network in the country and how our scholars are thriving in our schools and in college and beyond. 19,000 Uncommon students are on the path to graduate from college and achieve their dreams. Through rigorous coursework and activities designed to help students find their passions both within and outside the classroom, Uncommon students graduate ready to thrive in college and beyond. Uncommon's high school graduates have graduated from or are on pace to graduate from four-year colleges at higher rates than students from the wealthiest American households. We track our students' success throughout their journey, and this number includes all Uncommon high school graduates from our very first high school graduating class. 95% of Uncommon high school seniors have taken at least one Advanced Placement class, and the number of seniors who pass at least one AP exam - demonstrating mastery of college-level coursework - is more than double the national average. Our high school students are exceeding the SAT college readiness benchmark, demonstrating that they are on the path to success in college and beyond. According to a study by Stanford University's CREDO, attending an Uncommon School completely cancels out the negative impacts associated with being a student in poverty. 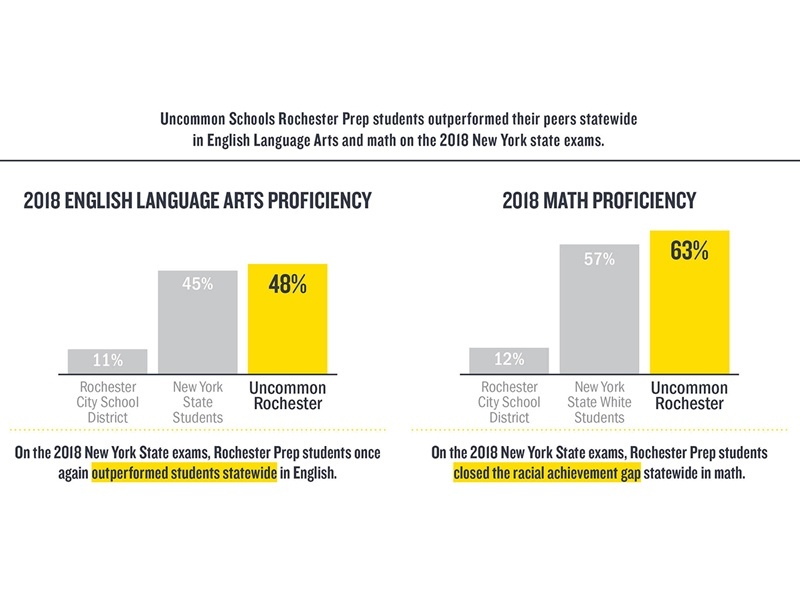 Compared to students in nearby district schools, Uncommon students learn the equivalent of 4 extra months of English and 7 extra months of math each year. 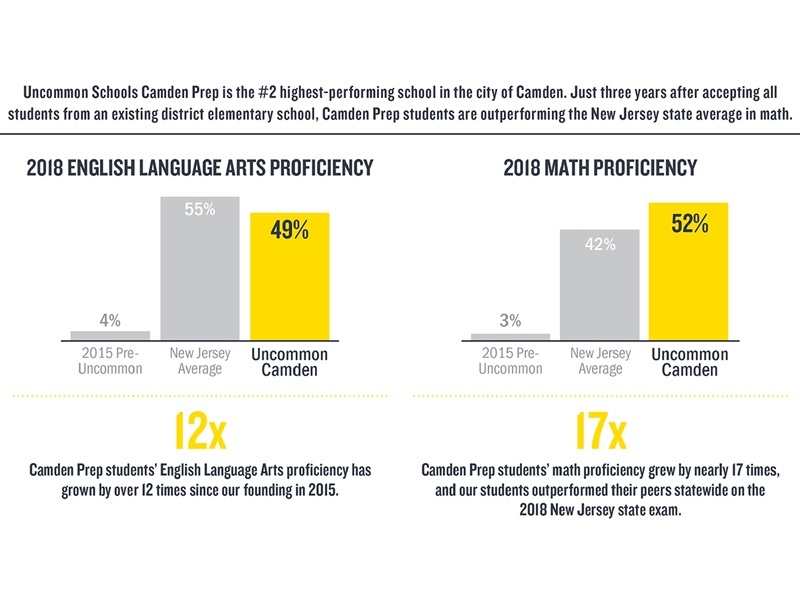 Three years after Uncommon took over a low-performing school in Camden, NJ, it is now the highest performing district or Renaissance school in the city. 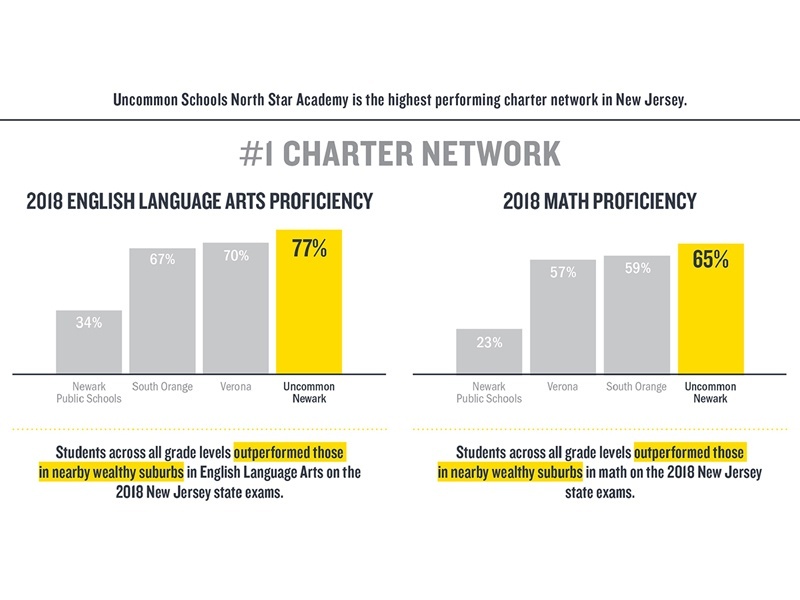 Our North Star Academy schools in Newark are the #1 highest performing charter network in the state of New Jersey. 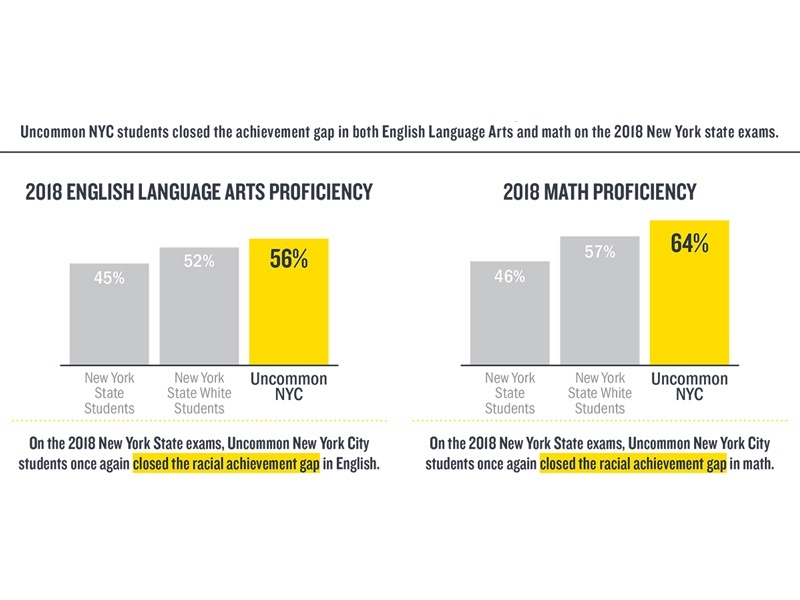 Across our six cities, our students are closing the achievement gap on elementary and middle school state exams. Our college counselors work closely with students and parents to find the right college and universities to match their goals and enable them to achieve their dreams. Here are some of the top local colleges and universities our alumni have attended.